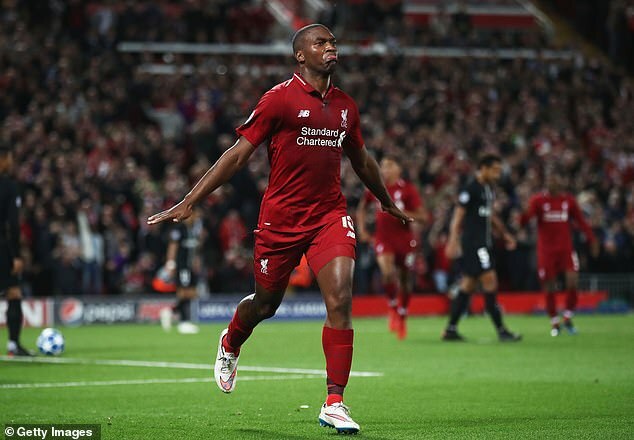 Liverpool manager Jurgen Klopp hailed Daniel Sturridge after his goal in their Champions League win over Paris Saint-Germain, saying the striker is in the ‘best shape’ he has seen him. Sturridge opened the scoring at Anfield with a first-half header after making his first start of the season against the French champions. The Reds ultimately won a see-saw contest 3-2 thanks to a stoppage time winner by Roberto Firmino, who replaced Sturridge after 72 minutes. Sturridge has seen his career interrupted by a succession of injury setbacks but Klopp was delighted to see him firing again. He said: ‘Great performance. Great performance of Daniel. ‘The three in midfield did an outstanding job, but they can only do it when the two wingers in how we play and the No 9 are helping in all these situations to keep the formation compact. It was fantastic. England striker Sturridge, 29, spent the second half of last season on loan at West Bromwich Albion following a lengthy injury lay-off during the first part of the season. But he has started this season well, scoring in Liverpool’s opening Premier League match against West Ham. On his first start of the season, Sturridge headed home Andy Robertson’s cross to hand Liverpool a 30th-minute lead.